Site of 1960 lunch counter sit-in where Dr. Martin Luther King Jr. appeared and first endorsed direct but non-violent confrontation with segregation laws. King's famous "Fill up the jails" speech in Durham followed. Sit-ins were pioneered by King's classmate, Rev. Douglas Moore of Durham, then spread throughout the South. 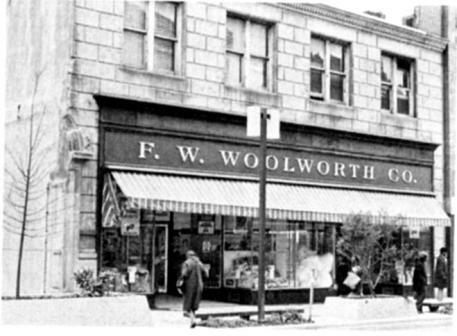 A portion of the historic Durham Woolworth counter as well as its seats and a pie rack are on display in the lobby of the Shepard Library at North Carolina Central University.